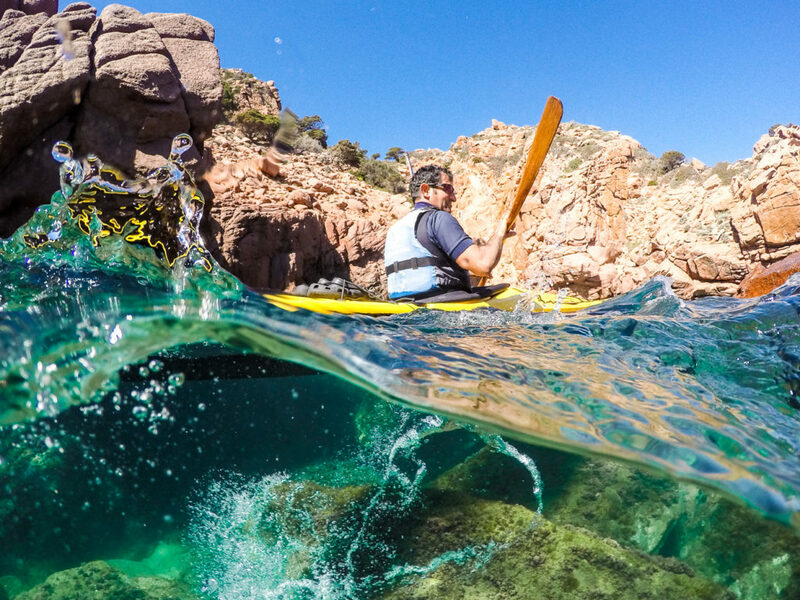 Since coming to live in Sardinia, we have both taken up sea kayak, mainly due to the beauty of the coastline and the fabulous places you can reach using this relaxing and clean form of transport! Even during the winter we go canoeing! Our kayak-master is the almighty Francesco Muntoni of Cardedu-Kayak. Francesco is a good friend here, we often go kayaking with our Italian friends as well and guests, and all our guests who go kayaking are bowled over by Francesco’s enthusiasm and fun-loving spirit. He is also a passionate climber and biker! beaches south of there. Francesco helps beginners by giving them a short lesson before we set off and we paddle for anything between 20 minutes and two hours. We stop at a couple of beaches and have a swim in summer, in winter we go for short walks off the beach. All the equipment you need, the kayak, paddle, life jacket and dry-bag, is included in the price – currently €25 per person for a short session (half day). In the video on the left “The sea becomes a lake” you see this coastline made of porphyry rock. Francesco offers many other tours as well as these short excursions. But you can also rent a kayak on your own and go for your trip! 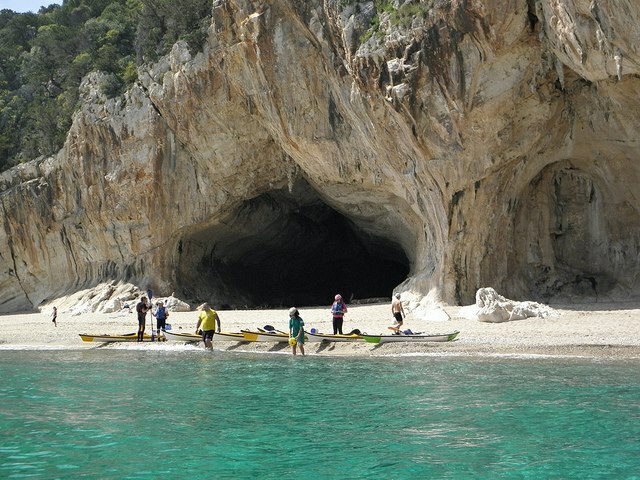 You can paddle out of Santa Maria Navarrese north towards Pedra Lunga, or out to the L’Isolotto d’Ogliastra or even as far as Cala Goloritzè, weather and experience permitting. This coastline is much more exposed to the wind and weather than that to the south, and there are only a few places you can land. 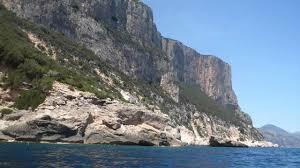 You need to be relatively experienced and be prepared to wait for good weather before tackling Capo Monte Santu. Francesco can also organise the logistics for anyone who has experience and would like to arrange a longer tour staying in tents on the quiet beaches, hiring his kayaks and all the equipment you need for ‘nautical camping’ as he calls it!